Jose Ramirez didn’t want the hometown fans to leave unhappy. In front of a crowd of 11,102 at the Save Mart Center on Friday evening, Avenal native Ramirez retained the WBC super lightweight world title with a unanimous decision against fellow unbeaten Antonio Orozco. The scores were 119-107 3X. Ramirez (23-0, 16 KOs) knocked Orozco down with a crisp right hand in the fourth round and found success with his left hook throughout the bout. In the eighth round, Ramirez scored a knockdown with a left hook to the liver and nearly finished Orozco at the end of the round. Ramirez won the belt with a hard-fought unanimous decision against Amir Imam back in March. For his first title defense, he took on a previously undefeated challenger in Orozco (27-1, 17 KOs), who on paper represented the toughest test of his career. Ramirez and Orozco went toe-to-toe and produced a championship bout for the ages. 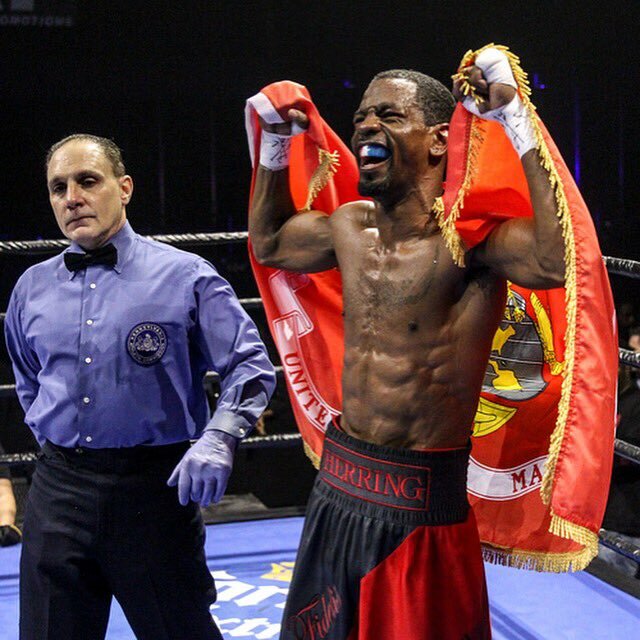 Flanked by his Marine comrades on his way to the ring, 2012 U.S. Olympian and Marine Corps veteran Jamel “Semper Fi” Herring (18-2, 10 KOs ) notched the most significant win of his carer, defeating John Vincent Moralde (20-2, 10 KOs) by 10-round unanimous decision (100-90 3X) to win the vacant USBA junior lightweight title. In his biggest test to date, 18-year-old sensation Gabriel Flores Jr. (10-0, 5 KOs) was undeterred by the big stage and the bright lights. Flores, from Stockton, Calif., survived a first-round knockdown to defeat Roger Gutierrez by unanimous decision in a six-round lightweight bout. The scores were as followed: 59-54, 59-54, and 58-54. “I could’ve done better, but I was in there against a tough guy. I have no explanation for it, but my legs locked up in the early rounds. I started moving in the last rounds, and my legs were feeling better. I boxed him and got the victory. All I can do from here is learn from this experience. Vacant USBA Welterweight Title: Alexander Besputin (11-0, 9 KOs), TKO 9, 1:44, Alan Sanchez (20-4-1, 10 KOs). Super Lightweights: Hiroki Okada (19-0, 13 KOs), split decision, 10 rounds, Cristian Cora (27-7-2, 11 KOs). Scores: 95-94 Okada, 95-94 Coria, 95-94 Okada. * Okada knocked down in the 10th round by Coria right hand. Lightweights: Bryan Vasquez (38-3, 20 KOs), unanimous decision, 10 rounds, Carlos Cardenas (21-15-1, 13 KOs). Scores: 98-92, 96-94, 96-94 . Featherweights: Isidro Ochoa (6-0, 2 KOs), KO 3, 2:14, Elio De Jesus (2-3, 0 KOs). Super Bantamweights: Santos Ortega (3-0, 1 KO), unanimous decision, 4 rounds, Sebastian Baltazar (1-2, 0 KOs). Scores: 40-36, 40-36, 40-36. Al Haymon’s Premier Boxing Champions (PBC) was broadcast from the Santander Arena in Reading Pennsylvania and featured two televised bouts with a rising prospect facing off against former world title challenger. King’s Promotions was the lead promoter for the card. The first televised fight of the night was between Wilky Campfort (21-2) and Patryk Szymanski (15-0) in the middleweight division. Szymanski had the height and size advantage, and used it in the opening round with a steady diet of jabs followed by an occasional cross. Campfort had trouble finding his target with his punches in the first round, but was able to land an occasional body punch in the second. Szymanski jabs and right crosses were effective in the second. Campfort pressed the action in the third round and had a good showing. He seemed to be feel comfortable taking the power shots of Szymanski and had some good body shots. Szymanski, however, took control in the fourth round with hard overhand rights that stunned Campfort and had him backing into the ropes. Campfort continued to press in the fifth round and was likely able to win it with some thunderous right hands. Szymanski’s pace was slowing down and Campfort’s pace was picking up. The sixth round was action packed and both boxers landed their fair amount of punches, but Campfort looked like the fresher man and his body work was paying off. Szymanski was able to settle down in the seventh and eighth rounds and used his reach to his advantage by sticking with his jab and keeping Campfort away from his body. A small mouse formed over the left eye of Campfort by the ninth round and he was unable to get in tight and land body shots like he was in the early part of the fight. Szymanski wisely stuck to boxing and avoided brawling in the final two rounds and used his jab well to close out the fight. The judges scored it 98-92, 99-91, and 99-91 for Patryk Szymanski. The main event was between ex United States marine and former Olympian Jemel Herring (15-0) and Denis Shafikov (36-2-1) in the lightweight division. Shafikov and Herring both fight out of a southpaw stance. Herring stayed on the outside in the opening round and circled to his right for most of the round while sticking his jab in the face of Shafikov. Shafikov was able to land some hard body shots, but did not land enough to win the round convincingly. Shafikov kept up the pressure in the second round and was not bothered by the jabs of Herring. He was able to catch Herring with a glancing right hook at the end of the second that sent Herring backwards in the ropes. He would have hit the mat if the ropes weren’t there and the referee ruled it a knockdown. The third round was close, as Herring landed more punches but Shafikov clearly landed the harder shots. Shafikov’s corner was screaming at the referee and claimed Herring was landing low blows, but they appeared to be clean body shots at ringside. Herring threw a high volume of punches in the fourth round and landed some hard body shots, but he was rocked by a straight left in the fifth round by Shafikov and was almost knocked down. Herring’s mouth was bleeding and wide open by the sixth round. Shafikov’s kept up his relentless pressure and battered Herring when his back was against the ropes. Shafikov was able to open up a cut by the right eye of Herring in the seventh round and continued to batter his opponent from corner to corner. By the eighth round Herring hardly had any snap in his punches. Shafikov had Herring on wobbly legs in the ninth round with some brutal combinations. There were some in the crowd who were calling for the referee to stop the fight, but Herring somehow was able to survive the round. Shafikov opened up the tenth round with a hard over the top right hand, and Herring’s corner wisely stopped the fight. Herring had nothing left in his punches and was taking a lot of punishment. Denis Shafikov wins by TKO at 0:36 of the tenth round. Kashon Hutchinson (1-0) defeated Robert Ramos (1-5-1) by TKO at 2:44 of the second round in the super lightweight division. Miguel Martinez (2-1) defeated Antonio Allen (0-2) by unanimous decision with scores of 40-36 on all three cards in the super welterweight division. Christian Carto (1-0) defeated Rahkeam Parker (0-3) by TKO at the end of the third round in the flyweight division. Frank DeAlba (19-2-2) defeated Jonathan Perez (35-15) by TKO at 1:50 of the third round in the super featherweight division. Kermit Cintron (37-5-2) defeated Carlos Garcia (10-16-1) by unanimous decision in the junior middleweight division with scores of 80-72, 79-73, and 79-73. On Saturday night at the Santander Arena in Reading, Pennsylvania Al Haymon’s Premier Boxing Champions (PBC) series will partner up with ESPN to broadcast the next installment of their series. Kings Promotions will be the lead promoter of the card. At least two fights are expected to be televised. Denis Shafikov will face off against undefeated prospect Jamel Herring in a ten round lightweight bout in the main event of the night. The co-main event will be between Patrick Szymanski and Wilky Campfort in the junior middleweight division. The following is a preview of both televised bouts. On paper, this appears to be an evenly matched fight. Campfort is thirty one years old and eight years older than his opponent. They are both 5’11 and have similar builds. They both have traveled the globe to fight. Szymanski has fought in places such as Poland, Germany, Puerto Rico, and the United States. Campfort has fought in places such as Haiti, Dominican Republic, Cayman Islands, and the United States. Szymanski appears to have a slight edge in amateur experience, as he was a former Polish Amateur Elite Boxing Champion. They are also both about even in power. Szymanski has nine stoppage victories and Campfort has twelve, but Campfort has been in eight more professional fights than Szymanski. Both boxers have been active the past two years. Szymanski fought three times in 2015 and 2014, while Campfort fought three times in 2015 and four times in 2014. Szymanski has not faced any significant opposition so far. His best wins have come against Richard Gutierrez, Andrei Abramenka, and Mate Hornyak; and none of them are well known. Campfort has been in the ring with better competition. He has defeated the likes of Ronald Montes, Richard Guiterrez, Molton Nunez, and DeCarlo Perez by split decision. One of Campfort’s two losses came early on in his career, in his second professional fight. His other loss was the Jermall Charlo in a world title bout. It’s a hard fight to pick a favorite, and not many have seen enough of Szymanski to get a good gauge of his talent. Campfort is coming off of a knockout loss to Charlo and it can be quite difficult for a boxer to bounce back from that. But Campfort has to be given a slight edge based solely on experience. The main event will feature a similar story line to the opening televised bout of the night. It will feature a rugged, tested veteran facing off against a relatively untested prospect. Shafikov’s professional experience is far superior to that of Herring. Shafikov has fought all over the world, including places such as China, Russia, the United Kingdom, Finland, Latvia, Belarus, and the United States. Herring has fought exclusively on US soil as a professional. Shafikov is thirty one years old, and despite the fact his professional experience far outweighs Herring’s, he is only one year older than his opponent. Shafikov will have a large physical disadvantage in that he will be giving up five inches in height to Herring. They both has successful amateur careers, but Herring was able to compete in the Olympics for the United States in 2012. Both boxers are southpaws, and both boxers have been fairly active the past two years. Herring has fought four times in 2014 and 2015, and once in 2016. Shafikov has fought twice in 2015 and three times in 2014. Shafikov has defeated the likes of Roy Mukhlis, Miguel Mandoza, Alisher Rahimov, Albert Mensah, and Brunet Zamora. His losses were to Miguel Vasquez and Rances Barthelemy in world championship fights. Herring has defeated nobody of note, but his most notable victories have come against Luis Eduardo Florez and Yakubu Amidu. Shafikov has nineteen stoppage victories while Herring has eight. Both boxers seem to realize that this is a big fight for them if they want to fight for a world title in the near future. Even though Herring doesn’t have the professional experience of Shafikov, his amateur experience should not be discredited and neither should his experience serving as a United States Marine. 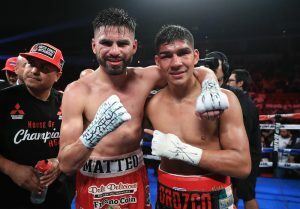 The following is the Boxing Insider notebook for the week of June 14th to June 21st, covering the comings and goings in the sport of boxing that you might have missed. Unbeaten lightweight contender and 2012 U.S. Olympian Jamel “Semper Fi” Herring (15-0, 8 KOs) will take on former title challenger Denis Shafikov (36-2-1, 19 KOs) in the 10-round main event of Premier Boxing Champions on ESPN & ESPN Deportes Saturday, July 2 from Santander Arena in Reading, Pa. The Fourth of July weekend action begins at 9 p.m. ET with undefeated Polish prospect Patryk Syzmanski (15-0, 9 KOs) taking on former title challenger “Silky” Wilky Campfort (21-2, 12 KOs) in a 10-round lightweight bout. An intriguing matchup between undefeated super welterweights Jarrett Hurd and Oscar Molina will open this Saturday’s Primetime CBS broadcast from Barclays Center in Brooklyn. The SHOWTIME CHAMPIONSHIP BOXING on CBS broadcast, presented by Premier Boxing Champions, airs live at 9 p.m. ET/6 p.m. PT and is headlined by a welterweight blockbuster between undefeated champion Keith Thurman and once-beaten former titlist Shawn Porter. Jermall and Jermell Charlo, Demetrius Andrade and Julian Williams. Hurd vs. Molina represents the toughest professional fight for either man. Groupe Yvon Michel (GYM) and Gestev are proud to officially announce, “SHOOTOUT”, the next fight for power-punching Adonis “Superman” Stevenson, July 29 at Centre Videotron, a presentation of Videotron in association with Mise-O-Jeu. This event is presented as part of the prestigious “Premier Boxing Champions” (PBC) series, to be broadcast live in the United States, and on Canal Indigo in Canada. Stevenson (27-1, 22 KOs), who established himself as one of the most powerful pound-for-pound fighters in the world, will defend his World Boxing Council (WBC) and lineal light heavyweight (175 pound division) title for the seventh time, against the dangerous, WBC No. 9 rated Thomas “Top Dog” Williams (20-1, 14 KOs). After careful consideration, rising Groupe Yvon Michel (GYM) star and double Russian Olympian, Artur Beterbiev, will not take part in the qualifying process to earn a spot to compete in the 2016 Summer Olympic Games in Rio de Janeiro, Brazil. An Olympic qualifying tournament for professional boxers will be held July 3-8 in Vargas, Venezuela, following the decision of the International Amateur Boxing Association (AIBA) to include professionals in the Olympic tournament. However, Beterbiev (10-0, 10 KOs), who made a triumphant return to the ring after a one-year absence on June 4 at the Bell Centre in Montreal against Argentinian Ezequiel Maderna (23-3, 15 KOs), will not be there. Currently world ranked in the top 10 of the light heavyweight division — IBF # 2, WBC and WBA #4, WBO #7 and The Ring magazine #9 — Beterbiev has already participated in the Olympics twice: 2008 in Beijing (178 lbs.) and 2012 in London (201 lbs.). Undefeated rising super featherweight contender Mario Barrios (15-0, 8 KOs) will take on former title challenger Devis Boschiero (39-4-1, 21 KOs) in the 12-round main event of Premier Boxing Champions on ESPN & ESPN Deportes Saturday, July 9 from Sun National Bank Center in Trenton, New Jersey. 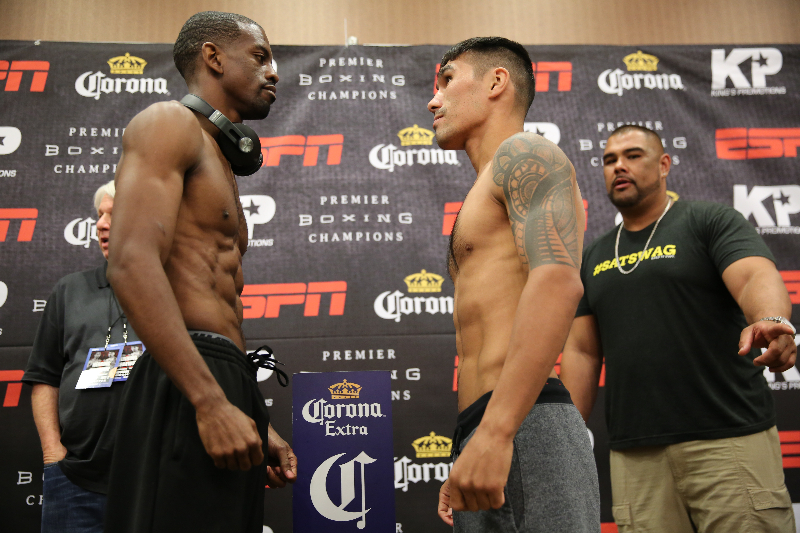 Televised coverage begins at 9 p.m. ET/6 p.m. PT and features an exciting battle of undefeated super lightweight prospects as Los Angeles-native Kevin Watts (11-0, 4 KOs) takes on Chicago’s Eddie Ramirez (13-0, 9 KOs) in a 10-round fight. Former Cuban amateur standout Sullivan Barrera (17-1 12 KOs) is training hard with new trainer Derik Santos. The Florida-based duo have gelled and can’t wait to show off the new and improved Barrera in the very near future. With Sergey Kovalev and Adonis Stevenson already locked into their next bouts, Barrera wants to face former champion Jean Pascal in a high stakes showdown. With both fighters coming off of losses, the heavy handed fighters are sure to produce fireworks in what would be the definition of a crossroads roads battle. The winner would be in a great position for several major fights in the winter and spring of 2017. Pascal in fact has already agreed to the bout, displaying his desires on his verified Twitter timeline. Barrera intends to take him up on his offer and has no problem traveling to Canada to make the fight happen. With Barrera coming off his first career loss and Pascal losing 2 of his last 3, and all three losses between them coming against elite competition, there is no better time than now for these heavy hitters two face each other. Undefeated featherweight world champion Leo “El Terremoto” Santa Cruz (32-0-1, 18 KOs) and fellow unbeaten Irish star Carl “The Jackal” Frampton (22-0, 14 KOs) will meet with a world title and two perfect records at stake on Saturday, July 30 in the main event of a Premier Boxing Champions event from Barclays Center in Brooklyn. This bout will be shown live on Showtime. Undefeated World Ranked Heavyweight Contender and 2012 U.S. Olympian Dominic “Trouble” Breazeale (17-0, 15 KOs) arrived at London Heathrow Airport on Thursday afternoon ahead of his world title challenge against IBF Heavyweight Champion Anthony Joshua (16-0, 16 KOs) on Saturday, June 25 on SHOWTIME BOXING INTERNATIONAL® from The O2 in London, live on SHOWTIME. Confident as he’s been since the fight was announced, Breazeale was met by the local media upon his arrival. “We’re two knockout artists so whoever lands first is going to win,” Breazeale said. “I know I got under his skin at the first press conference. He was rattled when we met and he knows I’m not some pushover like he’s had in the past. “I am an opportunist and if I see an opportunity, I am going to take advantage of it. If he exposes something or shows a weakness of some sort, I plan to take advantage of it. “I’ll go with the game plan, of course. My trainer, Manny Robles has done a great job developing a game plan during our training camp. 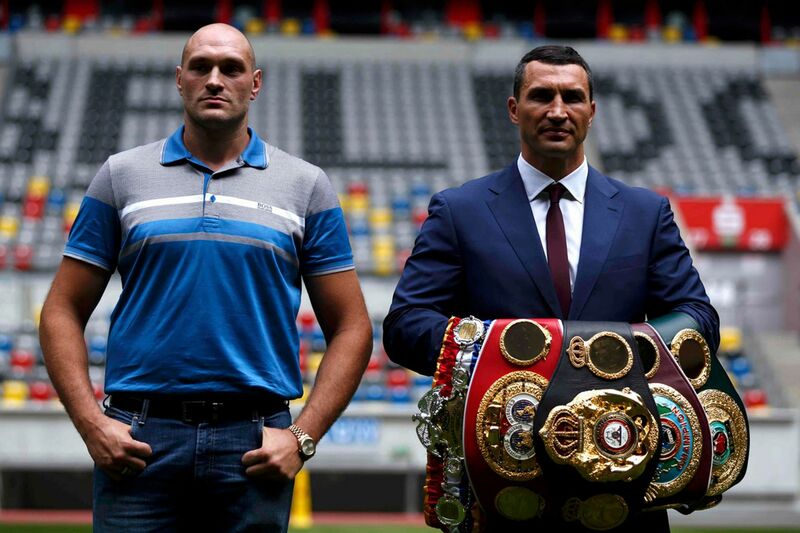 Wladimir Klitschko and Tyson Fury are set to rematch on Saturday, July 9th at 5:00 P.M. exclusively on HBO. They will be fighting in England in a rematch that saw Fury dethrone the heavyweight champion. HBO has posted the following video preview in anticipation of their bout.